And then there were two… US states that have officially approved the return of PokerStars as a provider of regulated, legal online poker services. Pennsylvania became that second US state to approve the return of Stars to a US jurisdiction during the Pennsylvania Gaming Control Board (PGCB) hearing on Wednesday, November 27. PokerStars’ parent entity in Pennsylvania, TSG Interactive Services U.S. Limited, received conditional approval as an interactive gaming operator, in partnership with Pennsylvania’s Mt. Airy Casino, which owns the primary online-poker license. TSG Interactive was one of seventeen operators and casinos to receive approval in the Nov. 28 meeting, upon recommendation by the PGCB’s Bureau of Licensing. 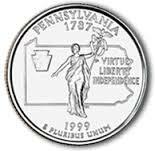 No online poker, nor any other form of online gambling, has yet to make its real-money debut in the Keystone State. These services are expected to go live at some point in 2019. While the approval in Pennsylvania is a triumph for Canada’s The Stars Group, progress in re-entering the coveted US space remains very slow. PokerStars, then owned by The Rational Group, was forced out of the US space after April 2011’s “Black Friday” that targeted most major offshore, US-facing online poker sites. PokerStars was only able to re-enter its first US single-state market, New Jersey, in March of 2016. That deal, in partnership with Resorts Casino Atlantic City, came about only after a two-year application suspension and the sale of Rational Group to Amaya, which later became TSG. It’s taken another two and a half years for Stars to claim Pennsylvania as another win, but even allowing for some accelerated returns, it’s likely that PokerStars will again be available in a majority of US states in… well… not in our lifetimes. Though quippy, the truth is somewhat more rosy: Stars’ approval in Pennsylvania comes on the heels of its signing a separate deal with Eldorado Resorts, a US casino-entertainment firm that operates 28 casinos scattered across 12 US states. Not all of them are likely to approve online gambling (and also include online poker in the mix) any time soon, but Stars will have a partner on the ground when those moments come. How the PokerStars – Mt. Airy works for generating revenue will be an interesting watch. Mt. Airy is not one of the largest Pennsylvania casino properties; the state’s biggest casino and best-known casino brands are Parx, Sands Bethlehem, Harrah’s Philadelphia, and Penn National, and the rules governing online-gambling licensing in Pennsylvania give the larger casinos the edge. Nonetheless, PokerStars’ presence ought to make a difference in the online-poker segment in Pennsylvania, just as it has in New Jersey. Seven of the state’s 12 online-gambling licenses are full three-part licensing deals that include online poker. Seven online poker sites will likely be at least three too many for a single standalone state, but the Mt. Airy-PokerStars partnership is well positioned to be one of the segment’s survivors. And when Pennsylvania allows its recently debuted sports betting to move online as well, Stars and Mt. Airy will be there with the BetStars brand, which has never before been available in Pennsylvania.